Delving into the makings that comprise the architectural identity of Dubai helps us realize how its nature can be dissociative and alienating for its residents. Once we break down the specific causalities and repercussions of this identity, we can understand how to combat it in both form and synthesis. If all the buildings today in Dubai play a part in its cold nature, then let us look at the buildings of yesterday. The ruins in Jumeriah Second's archaeological site have been neglected and ignored, yet what better choice to remind the residents of how real Dubai can be? After being bombarded by images of glass and steel modern buildings, witnessing the ruins will be a refreshing experience. It will remind the people that Dubai is in fact a human city. One that even hosted life a millennium ago. The issue lies with Dubai's adaptation of architectural modernity. The city's buildings rely heavily on iconographic elements of design, such as replicating the form of a flower or sailboat with no regard for spatial design. Ironically, the region has already developed certain building typologies and elements in the past that excel in Dubai's context, but these have been disregarded for the sake of adopting mostly unrelated, Western styles. These typologies can be translated into contemporary architecture through harnessing their essence and functionality without the use of historification and blatant copying of old buildings. The final aspect to be taken in consideration is Dubai's focus on temporary living in the city. There is an undeniable fact that Dubai is designed on the principles of temporality due to the nature of the country's laws and tourism-based mega-projects. This creates another unique situation where the resident's awareness of having to leave the country one day hinders the quality of life in the city. These conditions are only worsened when Dubai chooses to deny their existence. Politics and finance are out of reach for architecture, however we can choose to embrace the existing conditions and design for them rather than try to change them. What if the city can become more open about its temporary living? If Dubai embraced this aspect in its identity, perhaps more of its residents can come to terms with it and live more comfortably. People can stop wallowing about the future and instead try to live fully in the moment once they understand the nature of their time in Dubai. 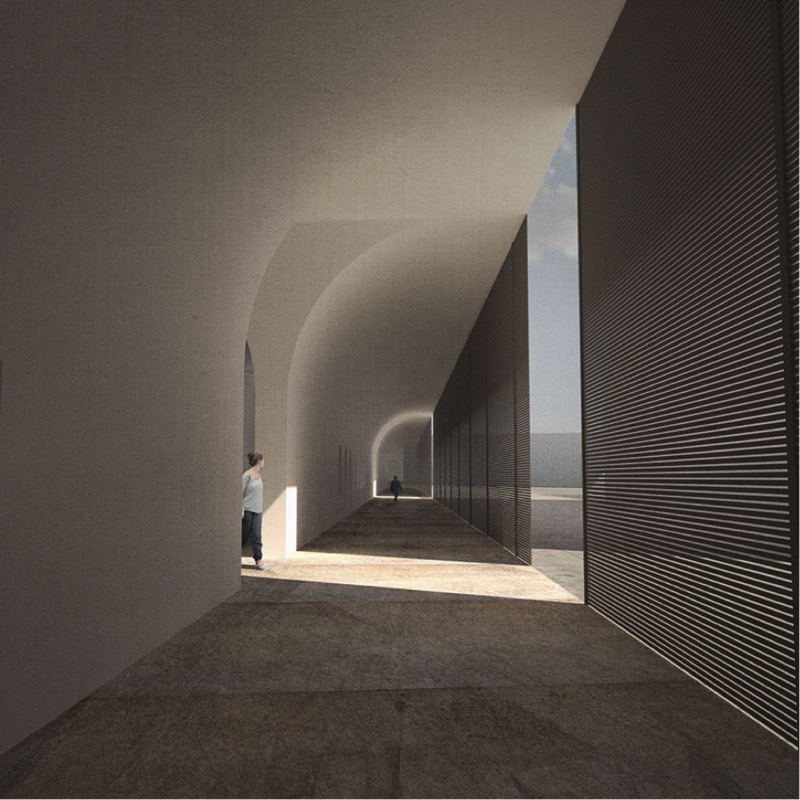 Therefore, this project will act as a museum dedicated to the relationship between Dubai and its residents and will host a nomadic pavilion that will allow residents around Dubai to share their own timeless experiences and memories created in the city. After all, it is our experiences and memories that remain timeless in our lives. They define the way we perceive our world and the way we live our lives.